Arthur River valley on the Milford Track Great Walk tramp. Aerial view of meanering river, swamp and Lake Brown by the Joes River confluence. 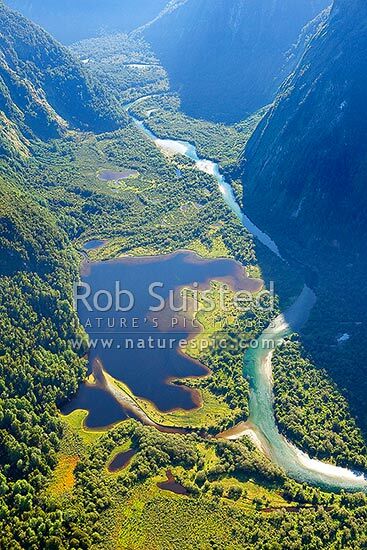 Looking upstream, Milford Sound, Fiordland National Park, Southland District, Southland Region, New Zealand (NZ), stock photo.